One of God’s must trusted servants receives God’s word on what is present and what the future will bring. Daniel praying for his people who are not in God’d favor at this time, convince his heavenly father to have his people restored in God’s favor. One of the Bibles most important chapters will bring us closer to God’s future for us. 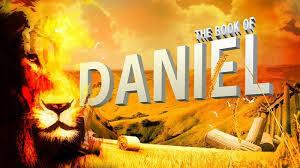 This entry was posted in Discipleship and tagged closer to God, Daniel. Bookmark the permalink.